Showcased on Fox Chicago News! Note: Mouse-over coupon to enlarge. Hurry, hurry, step right up. With the right costume, YOU can be the greatest show on earth! Why do top stars and celebrities come to us? 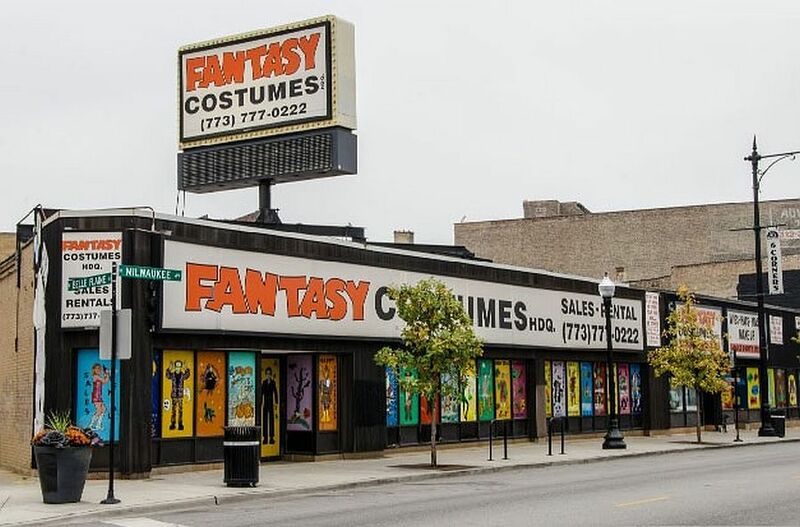 Because with Over 1 Million Items in Stock and A City Block Long Store we offer the largest selection of costumes, wigs, hats, masks, props, decorations, make-up, and accessories. For over 45 years, we've been the only choice for individuals, professionals, non-profit organizations and corporations for all their needs, From Christmas to Halloween, St. Patrick's Day to Mardi Gras. From parties and special events to trade shows and fundraisers to theatrical, television and movie productions, we make it easy to find whatever you're looking for. We can customize orders to fit your needs. And we specialize in rare & hard-to-find items. We can't show all the items we carry here, so if you don't see what you want, call us toll-free @ 1-800-872-9447, and we'll find it for you. Save now! Discounts, Deals, Offers, Savings and Promos at Chicago Coupons! Holloween, St Patricks, Mardi Gras, New Years.